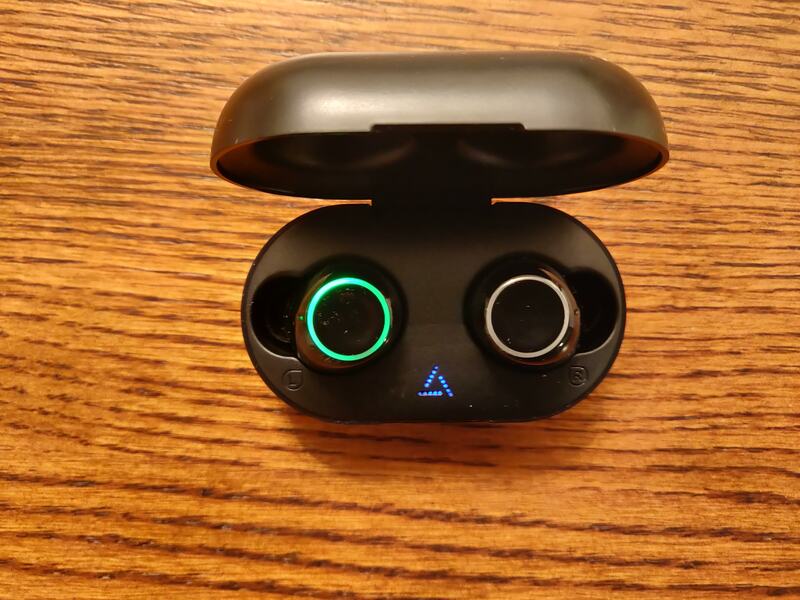 The post MPOW T6L Truly Wireless Earbuds appeared first on OneTechStop. I wasn’t sold either at first. I’ve hear some war stories about off brand truly wireless earbuds in the past. Poor sound quality, bad connections, and Airpod rip offs. I tuned them out for a good long time, however when I was asked to review the T6’s I was hopeful these could change my mind. As I said in the beginning of this review, I was skeptical. Knowing not much about the brand itself, I expected the worst and hoped for the best. The box itself was small, and the carrying case seemed flimsy at best. The micro usb cable was short, but it didn’t need to be long. To say I was simply whelmed, would be an understatement. That all changed when I got to the earbuds themselves. These felt sold, weighty, but not too big. I was officially excited to set these guys up. Thankfully, the case is magnetic, therefore the earbuds just clicked in. This turned them on and I wanted to make sure I gave them a good charge. The case has cool LEDs inside, while not especially necessary do look cool. The pairing process is quick and easy. I assume having a device with Bluetooth 5 makes it easier, however regardless the process seems easy. When I popped these bad boys into my ears, I had a little trouble with them at first. You have to ensure you’re not putting them in while touching the tops of the buds. This will activate the touch sensors and play, pause, or fast forward through your music. Not especially great, but once you learn how to get them in it was a nice fit for me. These little guys are nice. They may be small, but they pack a punch. I listened to some Queen, and a lot of podcasts and both sounded nice. Songs with a lot of bass don’t sound muffled or tinny. I also believe they support HD Audio too. On my Oneplus 6T the option came up once and hasn’t since. I’m not entirely sure if that means it stays on, but that’s ok. I’m not an audiophile by any means, but I enjoyed putting these guys in my ears. My daily drive headphones are the Bullets Wireless and ATH M50X’s and I can say I enjoy these bad boys equally as much. They may not sound 100% as good but what they lack in clarity they make up for in convenience. Speaking of convenience, they don’t hurt my ears either. After listening for an hour or so I didn’t feel like I had to take these buds out. I also listened to them while doing house work and shook my ears a bunch and they didn’t move. Maybe it was my luck that the medium tips fit perfectly but I had a good time with these. Throw them in a gym bag or for an overnight trip and you won’t have an issue. Just try not to lose them. There’s one thing I didn’t mention in this review and that’s the price. I have one last story to tell before I reveal the price. I showed my dad these who uses the Jaybird X3’s and Oneplus Bullet Wireless Bluetooth headphones. These are both amazing quality Bluetooth headsets that are highly regarded. He has things he likes and dislikes about both. The Jaybirds were expensive, weird eartips, and a strange charger. However, they sound good and they’re great on battery. The Oneplus headphones have less battery life, and sound quality but they stay in his ears better and use USB C to charge. Plus, they’re a little better on the price spectrum too. When I showed him these, he said he liked the form factor and sound quality. He was curious about how much these cost though. When I told him the non-sale price of these was $39.99 he was shocked. You could pick 2-3 of these up for the price of a pair of Jaybirds or Bullets Wireless. What you miss out on though are dedicated apps to change the sound profile and incredible sound quality. However, you do get 90% of what the contenders give you and for $39.99 you can pick these up and throw them in a bag or something and not worry too much. You can even use these as your main headphones and be just as happy. If there’s one thing I can tell you though is you don’t need to pay the big bucks to be happy. If you’re all about convenience and having incredible value for money, these are your ear buds. Should you need the Apple integration, or wireless charging then go for the Airpods or Galaxy Buds. However, if you’re looking for quick and dirty wireless ear buds then give these a shot. I recommend them. Thank you to MPOW for supplying the T6L’s for us to review. Although we did not pay for them these are our honest reviews and we are recommending them knowing you will pay the full $39.99 price tag. You can purchase these headphones right here. If you like them then please let us know! The post Olixar Carbon Fiber case for the S10 Plus appeared first on OneTechStop. I just pre-ordered my S10 + in Prism white yesterday and I always order my Olixar carbon fiber case in advance as well as my screen protectors. I like to have everything ready before I use the device, am I the only one?? 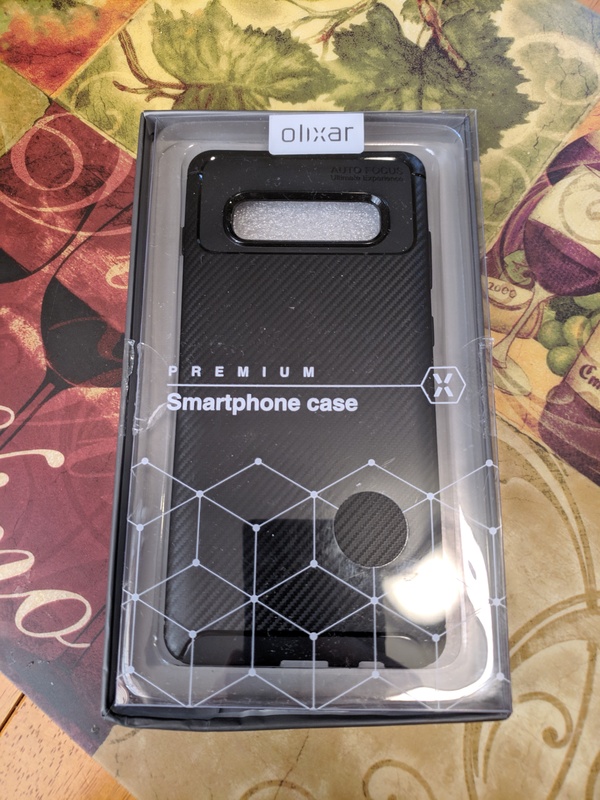 I received my carbon fiber Olixar case few days ago, and I thought I would write my initial impressions about it even though I have not received my device as of yet. I will obviously update the post once the device is received. I really like the feel and design of this case it offers a nice grip as well as a slim profile design with adequate protection and the fit is usually perfect going by past experiences. In our previous review of last years Olixar case for the Samsung S9 we were happy just how detailed all the port cutouts, and button placements are. There is not an opening in the case that looks as though it shouldn’t be there, or is uneven, and the button cut outs line up very nicely with the buttons on the device. There is no obstruction to the USB-C port, speakers, or any of the microphones. Olixar usually has a decent range of cases to choose from as well as other mobile products. I will post some pictures of the case below, let us know what you think and which cases you recommend for your device. You can check out Olixars offerings over at Amazon , they also offering a extra 5% coupon at the time of writing this. 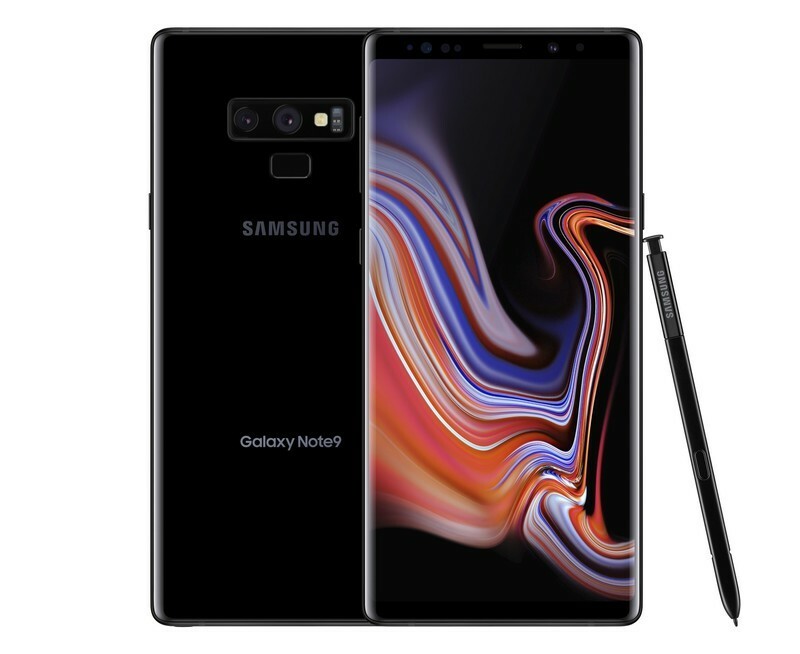 The post Samsung Galaxy Note 9 Review appeared first on OneTechStop. The Galaxy Note 9 is Samsung’s latest flagship phone in the Note line up. It has a gorgeous display, high end specs, and a huge battery. Not to mention the ever-evolving S Pen, and Iris scanner, two features you won’t find on other phones. However, are these features worth the $999 price tag or $33 a month for 30 months on an installment plan? I hope you’ll spend a few minutes with me as I give you my honest opinion on the matter. If you missed our initial unboxing of the Galaxy Note 9 please click here. If you just wanted to see some pictures of what the device looks like though I will post the pictures from my unboxing in the gallery below! Let’s get the nitty gritty specs out of the way nice and early. Now, specs aren’t always indictive of performance but given the high-end nature I think you’ll be able to get a good idea just from this list. I need to get this point out of the way. The display on this device is second to none. Looking at it is spectacular, especially when you bump up the brightness and crank the resolution (which I did the moment I setup the device). I think what made the display look so great to me were the vibrant colors and amazing brightness. You won’t be disappointed watching videos, or doing some casual social media browsing on this display. My one tip would be to not be tempted to turn the brightness up. It may make the display look incredible, but it will drain your battery quickly. Samsung’s displays live up to their reputation though, so you won’t be disappointed no matter how you choose to use this device. The Snapdragon 845 paired with 6gb of ram is a tried and true formula for great performance. Opening apps were as snappy as you’d expect. My main issue with the performance came from the UI. I found stops and stutters while moving around homescreens, especially on the Bixby screen. A device with this hardware should not be lagging, period. I was happy with how long applications stayed in memory. The phone wasn’t closing applications prematurely or in the background which was very comforting. I found that aggressive background application management can become more annoying than it’s helped me with my battery life. If I hadn’t opened an application in a few hours it would close, however that’s normal. I was able to switch between a game and chrome, or my camera and not have to boot them up from scratch if I left them for a half hour or so. When an application did have to reboot if it was killed in the background it didn’t take much time either. It was refreshing to see a device take advantage of the ram it had well and not have me wishing I had more. I wanted to dedicate a whole section to the S Pen because I feel, this is still the main reason to pick up a Note. The S Pen is now a Bluetooth connected device that can take selfies with the push of a button on the S Pen. Being as this was my first Note device, I tried to use the S Pen as much as possible. As I don’t take as many selfies with the main camera app I didn’t use this feature much. If I had more people, or reason to take selfies I could see this coming in handy, but that feature just wasn’t for me. I did try to use the feature where you take notes when popping the S Pen out. My main problem with this feature is, I never needed to take quick notes. All the notes I wanted to take during a class were long and drawn out. I would have needed multiple screens to take one quick note and by the time I took the note on my phone I realized I probably should have just typed it on my computer. The S Pen just wasn’t really for me, however it was fun to use to swipe around. Other than that, it just didn’t do it for me. The camera on the Galaxy Note 9 is legitimately impressive. I could not tell you how many times I pulled this phone out of my pocket just to see if I could try to trip up the camera and I couldn’t. The camera specs have a variable aperture (f1.5 and f2.4) 12mp camera and a 12mp telephoto lens. These may seem like fairly typical for a 2018 flagship, however the software is where this phone really shines. One thing I really like is that it would automatically detect when the phone was in low light and enable software to increase light intake automatically. Photos were crisp and clear no matter what setting you were in. Given this device is for business people or power users you would think this is one place Samsung might have felt they could slack. They obviously did not though, and I think if you’re still looking for a phone with an incredible camera then the Note 9 is a choice you should not overlook. Below you’ll find some camera samples in good lighting and low light. The Samsung Galaxy Note 9 has a seemingly huge 4000mah battery. Seemingly, because lately the size of the battery does not always dictate how long the battery life is. The software and screen resolution can really effect just how long your device’s battery lasts as well as how you use it. I changed the screen’s resolution to the full 1440p resolution and did not hold back on the screen brightness. I use my phone fairly often for media consumption as well as playing Pokemon Go. Although battery life was good, it wasn’t anything spectacular. The Samsung Note 9 must have not been thrilled with how I was using it, however your results may vary. I will leave some samples of my battery life in the gallery below. I really want to hear what your battery life has been like if you have a Samsung Galaxy Note 9. Maybe I’ve just been spoiled by phones like the Oneplus 6T or maybe I was doing something wrong. Let me know! As some of you must be wondering now, do I recommend the Samsung Galaxy Note 9? My answer is that it depends on a few things. My first determination for getting the device is what you will be using it for. If you’re an avid user of the S Pen or you need the highest quality display on the market then I think this device is perfect for you. If you need a headphone jack on your phone at all, or just want to stick it to the man, then definitely get this phone. Next, you don’t mind not having the most recent versions of Android super quickly and you really like having a massive phone that you should put a case or skin on then get this phone. Lastly, if you can get this device on at least a 20% discount or on a monthly installment plan then this device shouldn’t destroy your wallet. I don’t recommend paying the full $1000 or $1250 for the 512gb model if you’re looking at this device. In my opinion, we as consumers need to really stick it to the man with these $1000 phones and buying these phones at discounted rates does send a message to manufacturers that we should not be paying this much for a phone. These days I’m positive you can find this phone at a good price and getting this phone for $800 or less is a steal. This is a high quality, high end phone that really shows just how well Samsung knows its audience. Let me know if you get this phone and what you think of it in the comments below! 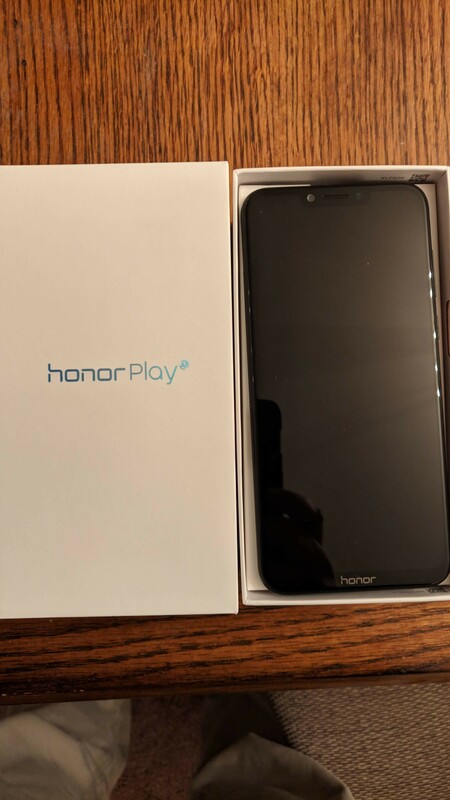 The post Honor Play US Review appeared first on OneTechStop. 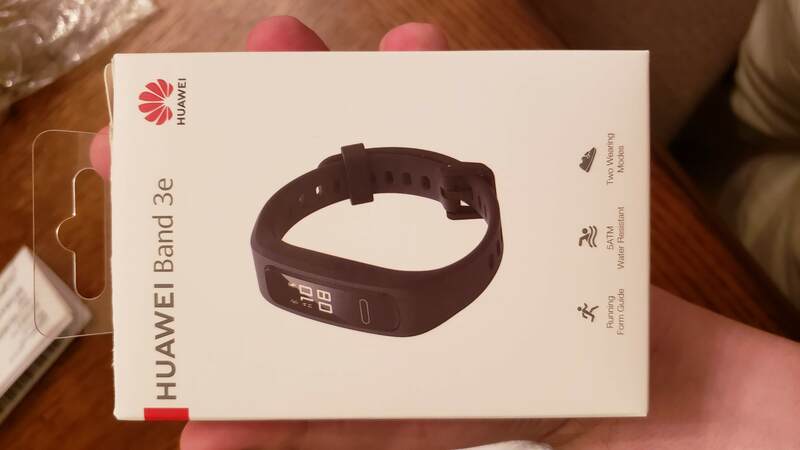 The post Huawei Band 3e Review appeared first on OneTechStop. The Huawei Band 3e is a very basic fitness tracker. It’s a step tracker/sleep tracker with no heart rate monitor that is meant for those who are looking to get into fitness and want an affordable place to start. The Band 3e can be picked up for a shockingly low MSRP of $29.99. In this review I will go over my thoughts and opinions after wearing this fitness tracker for the better part of 3 weeks. The unboxing experience was nice and straightforward. The first thing you’ll notice is you get what you pay for. The band is a bit cheap and the shoe clip looks thrown together, but everything is there. Once you give it a solid 10 minute charge to ensure it has battery clip it in and set it up. Setup and use is unusually easy. All you do is download the Huawei Health app, navigate to the setup section and follow the instructions. Took me about 5-10 minutes only because I didn’t read you had to press and hold the center button on the fitness band for 4 seconds to enable pairing mode. Other than that, once you set it up, you’re ready to go. Using the band was nice. It didn’t feel hugely uncomfortable on my wrist, I even slept with it on a few times. The application will leave a notification in your notification shade if you’re on Android. This will tell you your steps and approximate calories burned. It didn’t bother me all too much and if the band had trouble connecting I could quickly navigate to the app. I have to say, for a Huawei application, this is very well made. I didn’t feel frustrated navigating it and it gave me a lot of the stats I wanted and needed. The fitness band itself will give you nominal information such as steps walked and hours slept. If you want graphs and in depth information go to the application. The application also gave you a choice of what applications you’d get notifications from on the band itself. You couldn’t read the notification, or know what kind of notification you had but, at least for that second you knew you had one. I didn’t make a big deal about the connectivity issues because they were easily resolved. If I opened the app quickly it would resolve itself or it would happen on its own. I couldn’t tell if it affected my graph data at all though but the notification always seemed accurate. I only noticed this occasionally when I looked at the tracker to check the time. Would you get this fitness tracker? Let us know in the comments below! We would like to thank Huawei for lending us the Band 3e for review. This was a loaner device and we returned it to Huawei when the review was completed. We were not paid to write this review and all of the opinions are our own. 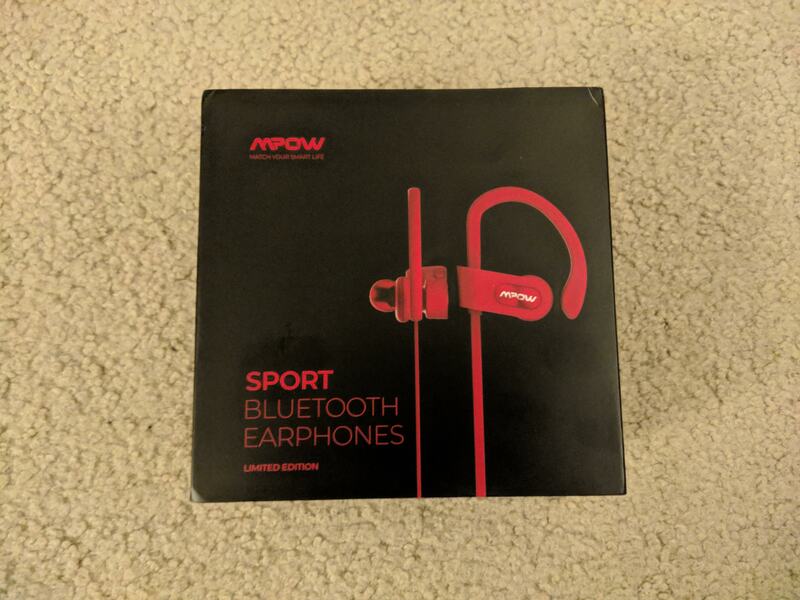 The post Mpow Sport Bluetooth Earbuds Review appeared first on OneTechStop. The Mpow Sport Flame came on loan. The opinions of the review are that of the writers and were not influenced in any way. Mpow is a maker of budget smartphone and audio accessories. The Mpow Sport are bluetooth earbuds that, as the name says, have a fitness focus. The Sport have a budget focus that have solid audio for the price. As for the quality of the earbuds themselves… Let’s just say that you get what you paid for. The quality of the audio is honestly really good for the price of $20. There’s a focus on the lows with pretty heavy bass. Personally, I listen to fairly bass heavy music when I workout so the Mpow are perfect for me in that sense. I wouldn’t say the bass is overpowering though. I was still able to make out the highs, but the mids take the hardest hit. They’re not super muddy sounding, but occasionally mids are a little hard to pick out. The Mpow Sport’s overall quality is a little on the lower side. The plastic feels a little cheap and so does the cord linking the Mpow’s earphones. They never felt like they would break they just didn’t feel like they were of a high quality. The Mpow Sport boasts an IPX6 rating making them theoretically possible to wear while swimming. Overall I wouldn’t say they were bad quality wise just what you would expect for the price. The Mpow Sport’s battery life boasts 7-9 hours of use. From my use with them that sounds about right. I typically work out for about an hour 5-6 days a week doing a half hour of strength training and a half hour of cardio, and the battery in the Mpow lasted me about the entire week. The Mpow charges using a micro USB port. While USB C would have been nice to have I would give it a pass considering the price point of the earbuds. Using the Mpow for strength training and yoga was no problem at all. They were in fact really comfortable for that use case, but for cardio they were pretty annoying. The Mpow Sport did not stay in my ears very well, even with trying different sized ear tips, and would slide out every few minutes while running. The wing tips that go over your ears can not be switched out for bigger or smaller wing tips so hopefully they fit over your ears snuggly. They sadly did not for me. You can pause, play, control volume, and skip tracks on the earbuds. Pause and play are easily accessible on the side of the right earbud itself, but accessing volume control and track skipping is a little annoying with the placement being tucked away at the top of the earbud right under the ear hook/wing tip on the right earbud. An in line remote would have been preferable over placement of controls being right on the earbud itself. If you want bluetooth earbuds on the cheap with decent sound quality (for wireless audio standards) then the Mpow Sport are very good buy. The issue lies in the “sport” part of the Mpow Sport’s name. The Mpow Sport is fine if you do slower paced workouts that don’t involve a ton of movement, like yoga or certain strength training, then you would have no problem with the Mpow Sport. If you’re looking for earbuds to wear when you run the Mpow Sport are not a good decision. The $20 price point is attractive, but you’re a cardio junkie, like myself, then I would suggest looking at wireless earbuds like the Anker Soundbuds Surge if you want to stay in a similar price range. The post Oneplus 6T VS Galaxy Note 9 Camera Comparison appeared first on OneTechStop. These are pictures taken by the Note 9 and Oneplus 6T at night. Some of the pictures utilize Oneplus’s nightmode and others do not. Samsung’s photos automatically turned on night mode when it felt it was needed. All pictures were taken for the camera comparison with up to date software as of November 2018. I want to point out a few things that you’re probably already noticing. The Oneplus 6T has a tendency to over expose the image to make up for the low light scenarios. When I was shooting with the 6T it also took longer for the camera to take focus. I didn’t expect the camera to be bad but I did not expect the Note 9 to take this much of a lead. Here I tried to take a variety of shots outdoors. I noticed the Oneplus 6T took a fair bit longer to get the correct exposure than the Note 9 did. I would click on a subject and the Note 9 seemed to instantly lock on. The Oneplus 6T tended to fade and refocus and fade again. The 2x zoom is incredible on the Note 9. Unfortunately Oneplus uses software to capture this and Samsung uses a dedicated camera to zoom in and focus on a target bringing more clarity and less noise to the picture. Oneplus’s implementation isn’t bad, but it will never be as good as having dedicated hardware. As for macro shots, I assumed Oneplus would run away with this but Samsung did a far better shot. You’ll notice I couldn’t even get focus on the branch I wanted on the 6T but the Note 9 did it effortlessly. I swear I must have sat there with the 6T for 2 minutes and it still wouldn’t focus at such a close range. Oneplus doesn’t do great at specialized features, however if you’re just taking quick still photos you’re not going to notice much of a difference between the 6T and Note 9. Most people will not do serious photography with their phones and I put these phones into very specific scenarios. It’s up to you to decide what kinds of pictures you take and if you’ll be using your phone for all these pictures. The Oneplus 6T’s camera isn’t bad by any means, but the Galaxy Note 9 runs away with this camera comparison. I will say, I’m completely happy with the pictures the 6T takes. You’re not going to win any awards for the pictures, but you certainly won’t look back on the pictures in 3 years and regret taking them. I would most closely compare the Oneplus 6T’s camera to that of Galaxy S8’s camera. You may be one generation behind, but that’s not necessarily horrible. Given the 6T is about half the price and is only marginally behind the Note 9, I would have to put my money on the 6T’s camera. When the Galaxy Note 9 drops in price in a month or so, I would say if the camera is your main concern and you’re stuck between these two phones, then go Samsung. 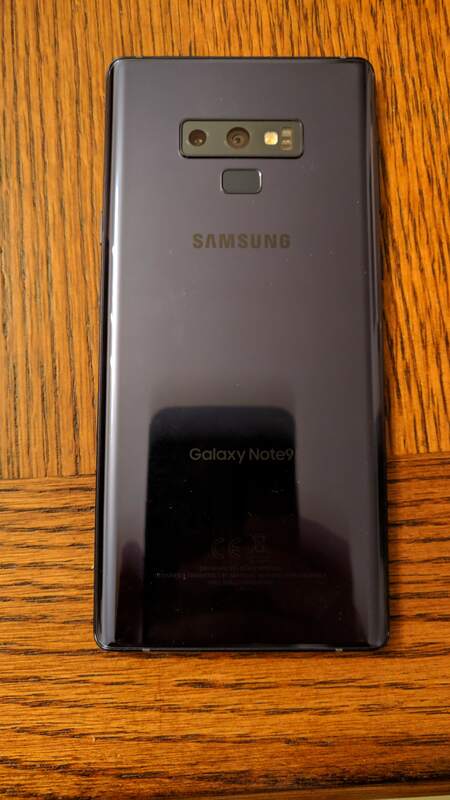 Onetechstop would like to thank AT&T for loaning us the Samsung Galaxy Note 9. This device is on loan and we were not paid to make any judgements about the device. All thoughts and opinions are our own. The Oneplus 6T was purchased using my own funds. This was not a sponsored or loaned product. 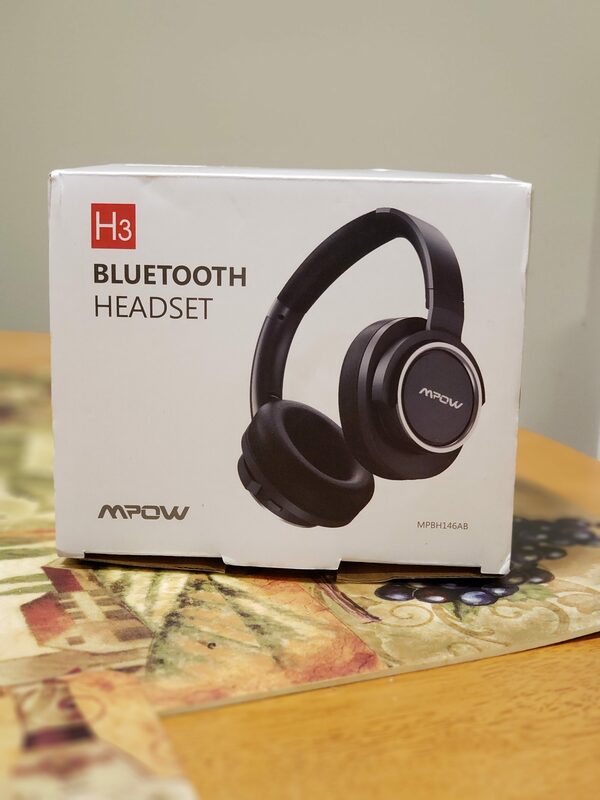 The post Mpow H3 Headset Big Sound For A Small Price appeared first on OneTechStop. I received the Mpow H3 active noise cancelling headsets about a week ago. I am overall impressed with the headset especially for the cost. It has a nice comfortable feel and great sound . The Mpow H3 headset comes with a USB charging cable, 3.5 mm audio cable, storage bag, and manual. The design on the Mpow H3 wont blow you away, its a solid headset with soft padded ear cups that fit comfortably around your head. The outside of the headset has more of a plastic look and feel. Its a decent looking headset , but it wont match the look of more premium models. The build feels good and they are foldable for easy storage. The Mpow H3 has a little weight to it’s heavier than other headsets I have used although I had no issues with comfortably. The Mpow H3 has a pretty simple button layout, which helps with navigating through the functions of the headset. The bottom right side of the headset has your power button which is multi functional, you can power on and off the headset, pause music , resume music with a single press, activate your voice assistant with a 2 second press, a double press will call the last number dialed, it also has a aux jack for wired use. The left side has the micro usb port for charging and the ANC switch to turn on or off the active noise cancelling. I am no audiophile but I can say the Mpow H3 delivers a nice balanced sound, good bass nice highs and lows and plenty of volume without any noticeable distortion. 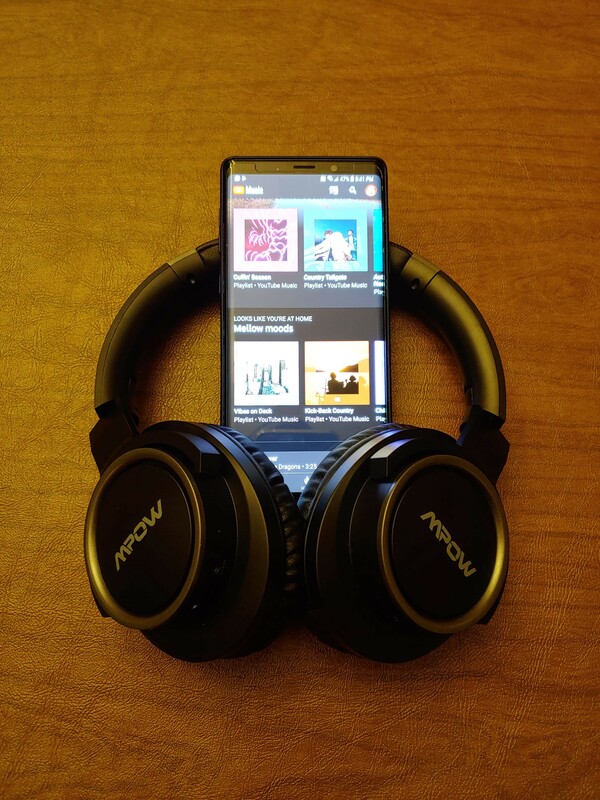 I paired it with with my Note 9 effortlessly and really enjoyed the sound quality. The ANC is a nice added feature but compared to my AKG N60NC it isn’t as strong.The battery has been nothing but amazing I actually haven’t charged it yet and been using it about 2 hrs daily for the last week. I would definitely recommend the Mpow H3 headset, its well worth the money, delivers a great sound experience comparable to much more costly models and 1/4th the price. They will run you about $58.99 and you can get them from amazon Here. 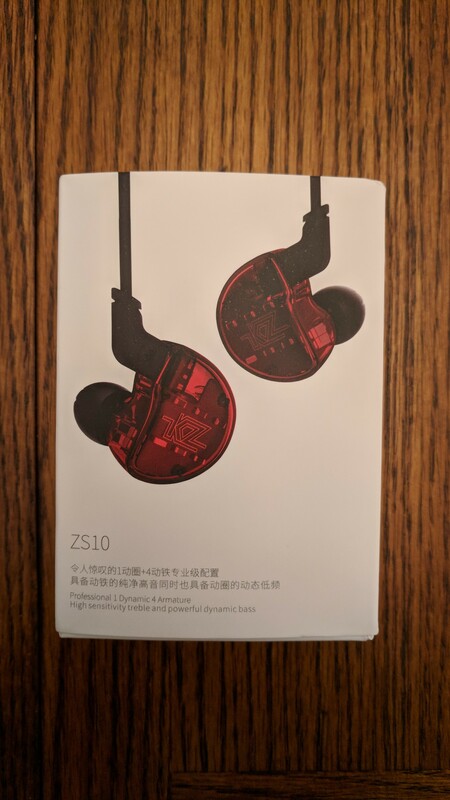 The post KZ-ZS10 In Ear Monitor Unboxing and Review appeared first on OneTechStop. The unboxing experience of the KZ-ZS10 is impressive, but misleading. The headphones look like they could be budget wireless headphones based on the box. When you open the box all you see are the chunky, translucent earbuds which, admittedly look really cool. I was confused when I pulled them out of the box and didn’t see a cable. After going through the box I saw the cable. Although I was a little disappointed the cable is very good quality. I don’t feel like they’re going to fall apart for a long time. If you’re looking for headphones with a cable that will last you for a while these feel like they will do you well. These in ear monitors are for a very specific kind of person. If you’re looking for a pair of headphones you’re going to take everywhere with you then these are not your headphones. I wore them for about two hours while going for a walk and my ears felt sore afterwards. You have to wear them around the top of your ears in order to get them to stay in your ears comfortably. That’s what the plastic parts are for near each bud. The earbuds themselves have so much packed inside you cannot wear them like normal headphones. Wearing them while walking around is not the best idea. If you’re looking for headphones that have accurate sound and will not fall out of your ears, these are the buds for you. You get a lot of quality for the $40-60 you spend. I would have mistaken them for headphones that were twice as expensive had I not looked them up beforehand. One of my favorite parts about the earbuds were the tips they come with. They have these really cool grooves on them which, I think help them stay in your ears. Whether they do or not is unclear but these tips stayed in my ears better than any I’ve tried in the past. The fact that the buds hang from the tops of your ears probably helps too, but I give the tips some credit too. These headphones sound good. I will post the specs on the back of the box for those of you who can interpret them, however to my ears they sound accurate with decent bass for earbuds. I realized though that these headphones really shine with spoken voice. Spoken voice through podcasts sounded natural and full. I felt like the people speaking on the podcast were right next to me. The effect was similar to my ATH M50x’s. Don’t get me wrong though, these are not true replacements for over the ear headphones. The range of sound you get is not nearly as great. In my opinion, over the ear headphones are also more comfortable to wear in general. However, for the price you could do a lot worse. That last sentence really sums up my feelings with the KZ-ZS10’s “you could do a lot worse”. Many headphones at this price dramatically cut corners in one place or another, however I don’t feel these do. They’re not the most comfortable headphones in the world but they work and sound really good. The cable is fully replaceable, and there’s a bluetooth attachment you can get for them as well. Sound is respectable and you won’t feel a huge hole in your pocket after getting these. If I were in the market for sound accurate ear buds, and didn’t mind being in mild discomfort I’d spend the $40-60. You can pick these bad boys up on Gearbest right now! Link will be below! We wanted to thank Gearbest for sending us the KZ-ZS10s on a loan. They did not pay us in any way to review these headphones nor did KZ. All of the ideas and opinions about these headphones are our own. The post Huawei Honor 7X review appeared first on OneTechStop. 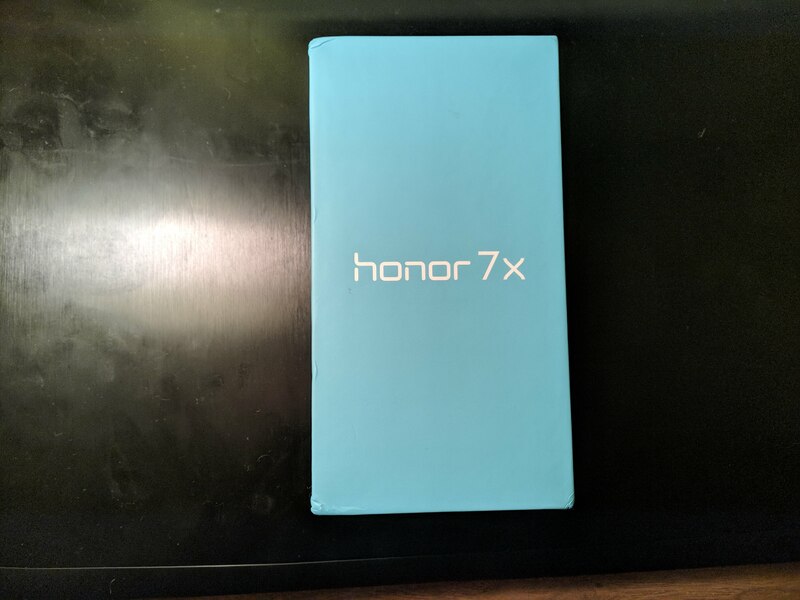 The Huawei Honor 7X is from Huawei’s spin off company Honor. The 7X is considered to be a “midrange” device, but at the $200 price tag I treated it more like a budget device. The 7X is an all metal device running Android 8.0, with two rear cameras (16mp main and 2mp depth sensor), has a 1080p Full HD+ LCD display with a 2:1 (18:9) aspect ratio, Kirin 659 chipset, 4GB of RAM, 32GB of storage, along with a single bottom firing speaker, a headphone jack, and 3340 mAh battery. For a budget device this is a very solid setup. Don’t expect an update to Android 9.0 with the 7X. Honor tends to update their budget/midrange devices through one full version of Android, and this device started on 7.0 and has been updated to 8.0 already. It would also be nice to have 64GB of storage, but at $200 and still having the ability to expand storage through micro SD is perfectly serviceable. As mentioned the display is a Full HD+ LCD display. So compared to an OLED the colors are going to be a little washed out, but Huawei’s LCDs are always some of the most vibrant displays, and the same can be said for Honor 7X. Beside the elongated 2:1 aspect ratio, I really liked watching video on the 7X. Just be sure use headphones or an external speaker when watching video. Unless you don’t mind all sound firing from one side on the single, bottom internal speaker. The sound is not fantastic from the internal speaker. It’s not terrible, but even for someone who isn’t an audiophile it was a little annoying listening to everything from a such a small, single speaker. Just use headphones or earbuds it’ll make the sound experience better. The dual cameras are great. They overexpose a bit, even with HDR, but the manual mode on all Huawei devices is fantastic. I didn’t have time to take many good shots with manual mode, but I have found in the past with most phone cameras that allow manual options that if you just lower the ISO or shutter speed a little bit it can help mitigate overexposure issues. Like most devices from Huawei, the Honor 7X’s battery life is fantastic! I always could easily get a days worth of use out of it doing my normal music streaming and playing over bluetooth audio for a couple hours a day, the hour or so of video I typically watch. As well as the extra gaming I did to test out Huawei’s, much talked about, GPU Turbo. I have no clue whether GPU Turbo has improved the battery life of the 7X or not. I got to use the 7X post update, but if battery life is the highest priority for you then the 7X is not bad purchase. Sadly, the screenshots of the battery usage did not save so I do not have screenshots of battery use. Honestly, I don’t game much on mobile. I think mobile gaming is a mediocre experience at best. Personally, I would much rather play games on a PC or dedicated gaming console. But I wanted to see how the Honor 7X would perform with, the only mobile game that exists, Asphalt 8. I couldn’t get Asphalt 9 to install on the 7X so that is why I went with 8. The game ran pretty much perfectly fine. The frame rate would dip hear and there, but for a quick burst of gameplay the 7X is fine. Like I just about the battery life I have no clue whether the GPU Turbo software that the Honor 7X has is effecting gaming performance much. If you don’t have much more than $200 to spend on a new device, and don’t care much about getting software updates, the Honor 7X is a fine choice in 2018. Of course I will say save up another hundred or so dollars for something with better hardware, and probably something that will get software updates too.